Who said that nutrition is boring? Not in this book! 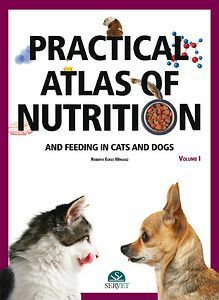 Here we have transformed nutrition into a series of graphic pages, with simple and concise text and several diagrams, drawings and images, by which the veterinarian can see all of the fundamental aspects of nutrition in dogs and cats. From digestive physiology and dietary behavior, the evaluation of body condition and morphometric measurements, to the characterization of the immediate principals and the description of the energy and nutrient requirements, this atlas is a succession of pages with an immense richness in information and visuals that will enable the reader to enjoyably deepen their knowledge about pet nutrition.